The telltale signs of fall are hard to ignore. The weather starts to turn, Halloween decorations appear in every store, and restaurants stop featuring watermelon and peach dishes in favor of pumpkin-flavored everything. But even with all of those hints, it never really feels like fall until the first red and golden leaves appear among the greenery. Here are some of the best drives and hikes for basking in the changing hues of the season. Colorado’s autumn colors tend to peak mid-September to mid-October, but since nature isn’t on a strict schedule, the kind folks at the U.S. Forest Service can give you a status report on when the leaves are turning and where: www.fs.fed.us/fall-colors, Hotline 1-800-354-4595. Caribou Ranch Trail: Two miles north of Nederland off County Road 126, this trail skirts two camera-worthy historical sites. The DeLonde Homestead, a fire-engine-red ranch house with matching barn, is striking against the rolling landscape and accented by the season’s changing hues. Look to the surrounding wetlands to glimpse picturesque willows, afire this time of year in gold and crimson. Elk and moose are known to frequent the area, and while they are beautiful, they can be dangerous. Keep as much distance as possible and leave the area immediately if you spot one, lest it feel threatened and charge. You’ll also pass the Blue Bird Mine complex, where you can still discern the old silver mine’s entrance (it’s not safe to enter) and a restored miners’ bunkhouse and foreman’s house, the porch of which is a lovely spot for a picnic. If you’re hungry for more, hop on the connecting Tungsten Loop and follow signs to circle Mud Lake for a stroll that offers double the color—in the tree-covered hills and their reflection in the water. 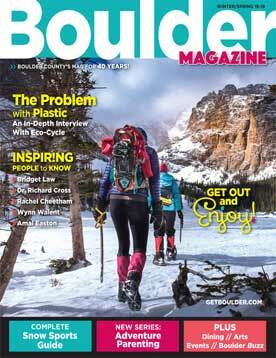 More information at www.bouldercounty.org/or/parks. 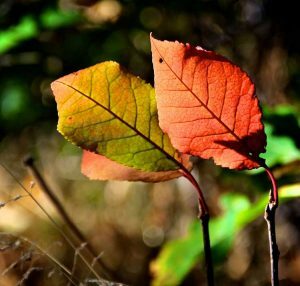 Not too far from Boulder County, but far enough to feel like a small excursion, Clear Creek County hosts some beautiful hikes and drives that really come alive when the leaves change. A short drive followed by a short hike yields some beautiful sights on the way to Saint Mary’s Glacier. The drive starts just west of Idaho Springs, continues for 11 miles and passes several groves of aspen trees that continue through the hike. The trek is only three-quarters of a mile one way, but still requires careful footing as the trail is rocky. The glacier feeds into a beautiful lake, and hikers can continue up past the lake if they want to climb the glacier. Be careful, though—it should go without saying that glaciers are icy, but lots of injuries occur each year on Saint Mary’s. We recommend wearing spikes if you plan on hiking the glacier itself. Guanella Pass Road begins in Georgetown, and ascends over the course of 23 miles, passing numerous trailheads on its way to Grant. Guanella Pass Trailhead itself leads to the summit of Mount Bierstadt, which is one of the most beginner-friendly peaks over 14,000 feet in Colorado. 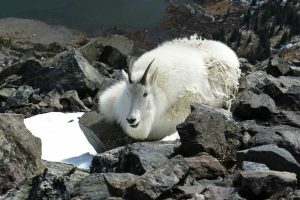 Climbing 14ers starts to get a little iffy in the autumn, so go early in the season if you’re hoping to summit. 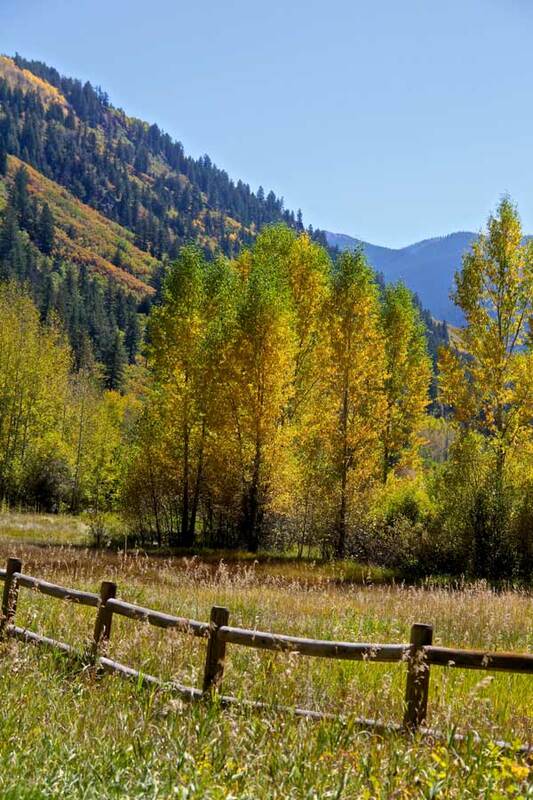 The drive there and many other hikes along the way provide amazing opportunities for aspen chasers. The highest paved road in the country, this byway is open through the first weekend in October for sightseers who crave a great vantage point. The altitude will give you amazing panoramas to enjoy, and the route leads to some great hikes along Echo Lake, Mount Goliath and Summit Lake. The extended road to the very top of Mount Evans is unfortunately closed after Labor Day. If you’re looking to get above 14,000 feet in your car this season, the only other option in the state is Pikes Peak Highway in Cascade (does not close seasonally, but will close in response to extreme weather). Oh-My-God Road is a shortcut between Idaho Springs and Central City. It passes a dozen closed mines and two ghost towns, and features an extensive unpaved section that has off-roading fans split in their reviews. Many warn of hairpin turns, potholes, washboard surfaces and sheer drops with no guardrail, and will only attempt the trip in a vehicle with four-wheel drive, but others claim the danger is overstated. If you are a confident driver with a car that can handle the bumps and curves, you’ll discover gorgeous views that help this road live up to its name. The Peak-to-Peak Highway also makes its way through the national park on its way from Estes Park to Central City. Another route famous for fall foliage, this highway is a must if you’re an aspen addict, and it conveniently passes right through Nederland. 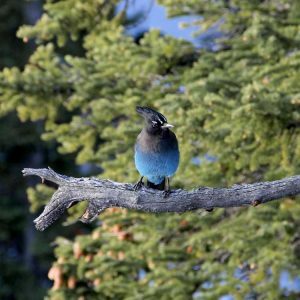 When hiking in Rocky Mountain National Park at this time of year, you’ll come across the colors of autumn whether you’re looking for them or not, but three trails really shine in the fall-foliage department: Mills Lake, Deer Mountain and Estes Cone. Packed with aspens, these trails turn to gold when the time is right. If the altitude is getting rough for you or a fellow hiker, stick to short trails with negligible elevation gains, like Adams Falls and Bear Lake. For ambitious hikers, Bluebird Lake, Flattop Mountain and Twin Sister Peaks involve more strenuous trips, while Cub Lake, Cascade Falls and Ouzel Falls offer the happy medium. With five trails to its name, Eldorado Canyon State Park is impressively diverse in the travel styles it accommodates. All trails allow pedestrians, of course, but Crescent Meadows also hosts mountain bikers and horseback riders; Rattlesnake Gulch Trail allows mountain bikers; and Eldorado Canyon Trail allows horseback riders. Streamside Trail is restricted to pedestrian use only, and Fowler Trail welcomes wheelchairs and strollers. While not technically in the park, Walker Ranch Loop connects to Eldorado Canyon Trail to form an intense day of hiking. Still a relative newcomer to the state’s park scene, Staunton State Park has enchanted many visitors since it opened 40 miles southwest of Denver in 2013, but word of its existence has traveled slowly. 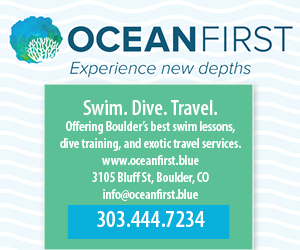 Many people in Boulder County and the greater metro area have no idea they’re so close to Staunton’s waterfalls, fishing ponds and 30 miles of trails. While we hope it picks up steam soon, now might be a great time to go enjoy the road less traveled before it becomes a sought-after hiking destination. Another park with great multiuse paths, Staunton also welcomes mountain biking, horseback riding and dogs on many of its trails (on 6-foot leashes or shorter). Rock climbing up granite cliffs is also a big attraction, and there are seven traditional geocaches and one earth cache hidden within the park to entice treasure hunters. 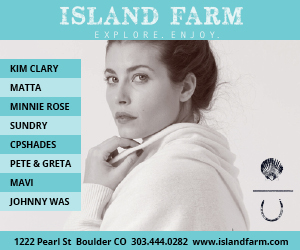 Feel like venturing farther outside Boulder County? Colorado hosts some of this nation’s most breathtaking drives, and these are some of the top-ranked vantage points for fall foliage across the state. Try one of these routes if you’re traveling to a mountain town for Thanksgiving, or a weekend soaking in some hot springs, surrounded by crisp fall air. 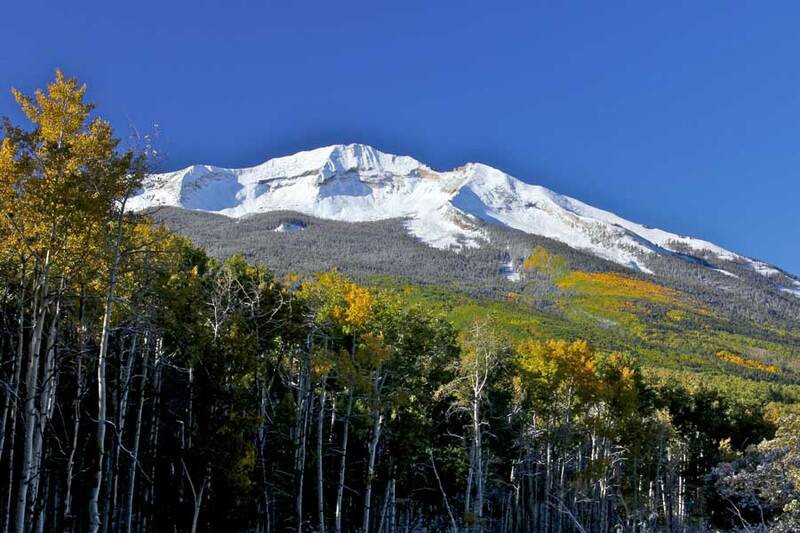 The mountains around Crested Butte are breathtaking year-round, so it’s no surprise that autumn is especially remarkable in this area of Colorado. The largest aspen grove in the state lives on Kebler Pass—a must-see if you’re going to be anywhere near Crested Butte this fall (the pass is closed from November to May). For a day of fall color viewing, hit Kebler Pass as part of a full circuit on the West Elk Loop, which takes you from Carbondale and McClure Pass to Crested Butte and Gunnison, over the edge of the Black Canyon, to Crawford, Hotchkiss and Paonia and back again. The Vinotok Fall Harvest Festival is a wonderfully surreal storytelling experience in town, so you already have an excuse to go on Sept. 23. Aspen is another city that’s already so picturesque without fall foliage that it feels like cheating to single it out for autumn, but it earns the distinction. Maroon Lake reflects the riot of color surrounding Maroon Bells, which are already the most photographed peaks in the country by some estimates (this means crowds, so show up early if you want some elbow room). Hike to the Bells, or enjoy colors from your car over Independence Pass (it closes in early November). Other autumn champs near Aspen include Cathedral Lake and Castle Creek Road. Your excuse to go? The Aspen Filmfest Oct. 3-8. The San Juan Skyway is a gorgeous loop that goes through travel destinations like Telluride, Durango and Silverton. (Portions of the road may close during extreme weather.) 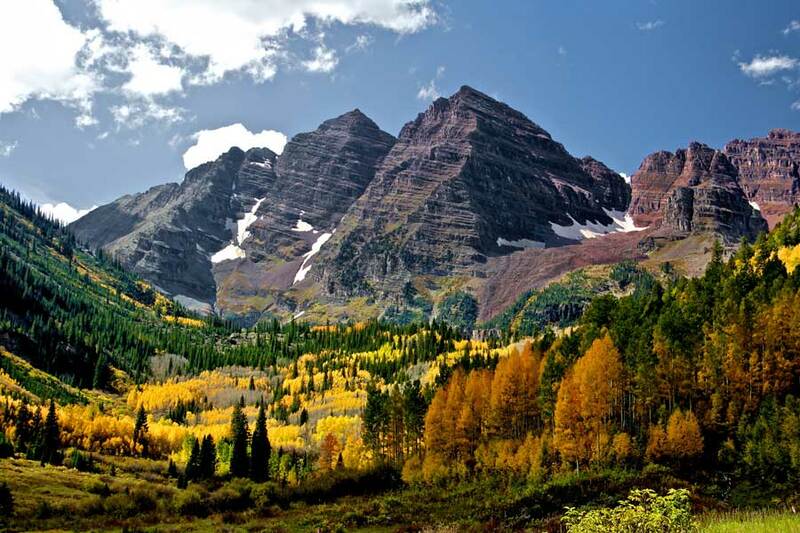 Red sandstone cliffs along the way really highlight the aspen’s yellows, and if you want to take a break from driving, the Durango & Silverton Narrow Gauge Railroad offers rides on historic trains through the San Juan Mountains. If you’re feeling adventurous, go for a detour on Last Dollar Road—a bumpy road with sharp curves that reward you with stunning views. ATV and jeep rentals available. Your excuse to go is the Telluride Blues & Brews Festival Sept. 15-17. 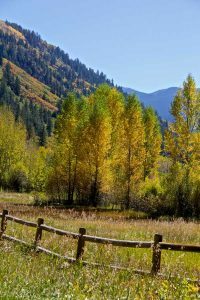 Steamboat Springs is known for its winter and summer attractions, so autumn is an opportune time to enjoy the beautiful town without its seasonal throngs of tourists. The fall colors will be in full swing in October, and there’s no better place to see them than Buffalo Pass, a few miles out of town. 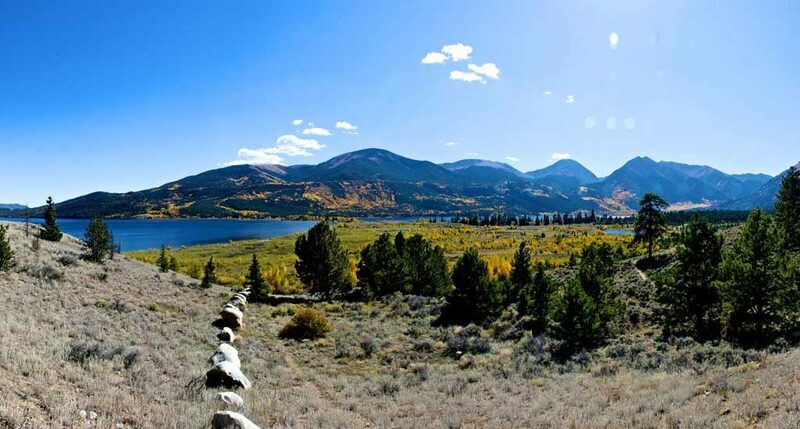 The 15-mile road climbs above tree line, giving you a full view of the surrounding aspens. Rabbit Ears Pass is already a convenient route into Steamboat Springs from Boulder, and the autumn colors give even more incentive for the trip. Your other incentive can be Steamboat OktoberWest on Sept. 16. Drive safe and hike smart this autumn!